So I think I finally adjusted to west coast time. Only problem is I flew back to central time on Sunday. Or, it could be that Saturnsnowpacogeddon that rolled through yesterday causing all sorts of panic only to dust us with 5 or so inches here in the city. That may seem like a lot if you live off a country road, but one perk of the city is a cleanup crew that never sleeps. And apparently doesn’t want you to either. 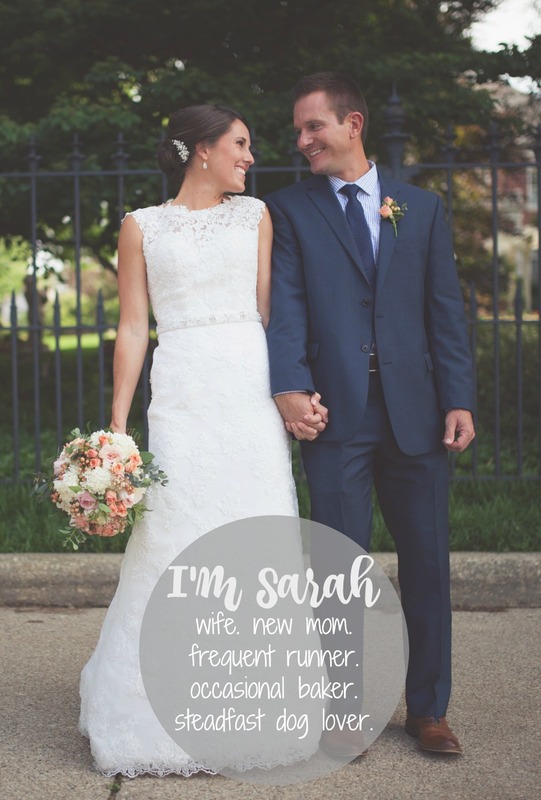 I’d like to thank Mr. Snow Plow Man for the 2 am parking lot scrape. Don’t get me wrong, I appreciate you. Just not at 2 a.m. Whatever the excuse, I’ve had no energy to cook this week. Unless you count a lazy quinoa salad, but I’ve already shared a similar recipe with you in a recent post. 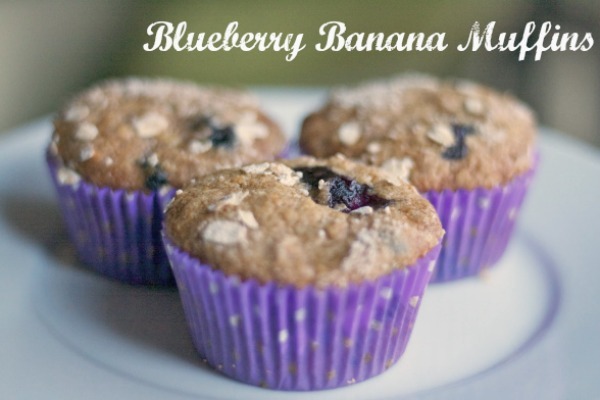 Instead, ill share one of my go-to recipes for Blueberry Banana Bread, or in this case muffins. It’s a simple recipe but a crowd-pleaser. I started adding blueberries a few years ago because I thought it might add a little something and while the bread is good on its own, (credit to the cup-o-sugar) the blueberriesadd a nice tang and moisture to it. That and I think they give you a good dose of fiber and phytonutrients, but if you avoid all things healthy, just leave them out. My mom’s side of the family is what you might call large. And the Boschfolk can breathe easy knowing I don’t mean in width, but in numbers. There’s a lot of us. My grandpa is one of 8. My mom is one of 8 and swears she knows each and every one of her hundred-plus cousins. You don’t have to be a mathalete to know that’s a lot of mouths to feed, a lot of cooks in the kitchen and a lot of tailgaters at the tailgate. Fortunately, this also means a lot of recipes. I’d been using my personal banana bread recipe by memory for years, not knowing where exactly it stemmed from but figuring because of it’s simplicity it was adapted from any number of sources. It wasn’t until one of my co-workers kept telling me that she made my banana bread the weekend prior that I finally ask her what the heck she was talking about. After all, I did make the bread fairly often and bring it into the office but I never remembered her asking for the recipe. Finally one day it hit me. 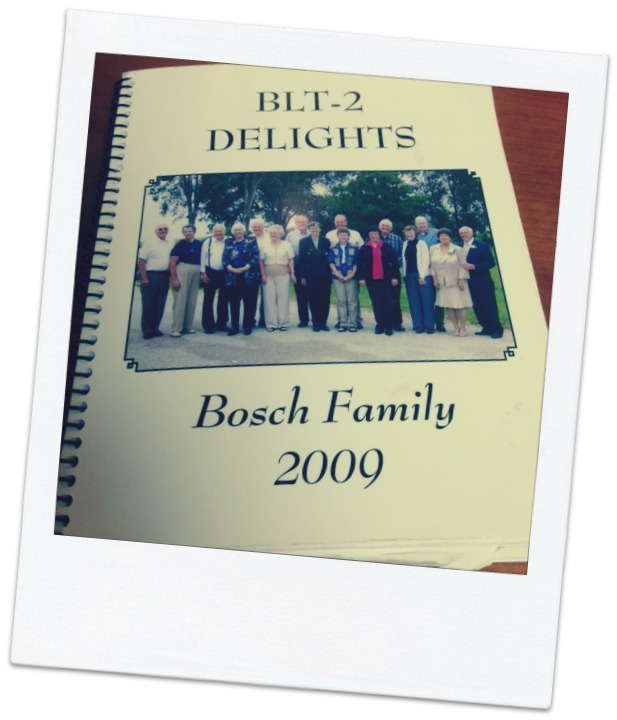 She was referencing the 2nd Edition of the Bosch Family Cookbook I gave her a few years ago. My Grandpa heard she was interested and gifted me with a copy to give her. Unbeknownst to me, inside the book was my trusted banana bread recipe. Only it wasn’t mine at all. Instead, credit belonged to my great Aunt Monica. Now I guess I could take credit for the magical day when I decided to put a streusel topping on it. Or the other one when I discovered the power of floured blueberries in a quick bread. But I’ll resist. After all, doesn’t everyone prefer a trusted family recipe to one that they just found as a top listing in a Google search? I think the real key to my banana bread is the bananas themselves. Growing up my mom always put over-ripened bananas in the freezer (skins on). I thought everybody did it. And if you haven’t, you should. Anytime a banana gets too mushy to eat, into the freezer it goes. Not only does it sweeten them up a bit, but it allows you to make banana bread whenever you want (or when you get a sign from above that it’s banana bread time as you pull open the freezer door and one drops on your foot ). Ok, I get it. Banana bread time. I made these muffins for my girlfriend and her husband after they welcomed their new baby girl home. 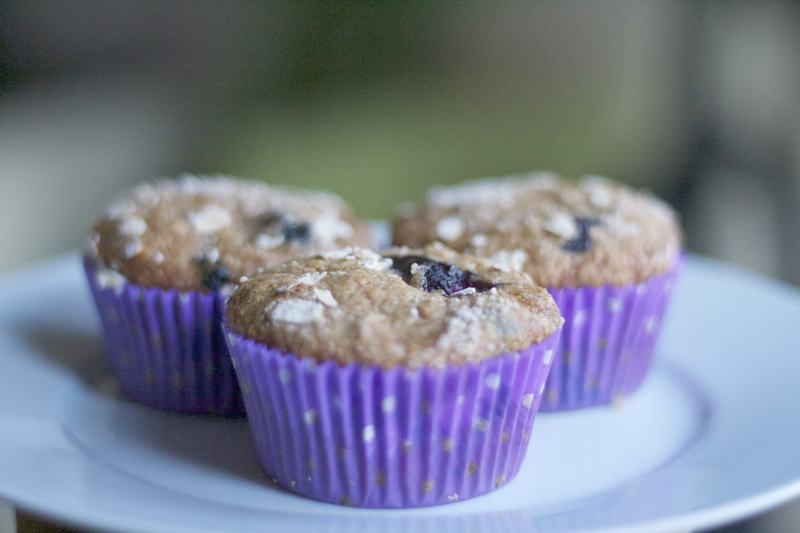 I figured muffins were better than the quick bread so that they could freeze the extras and take them out when they wanted them or share them with the many visitors they would have in the days to come. I know some people think it’s faux pas to use a stand mixer for quick breads but I do it. Sue me. Cream butter and sugar together. Add egg, and vanilla. Then bananas until just combined. In another bowl mix dry ingredients. You can do this part by hand but if you have a decent mixer with a slow speed just mix the dry ingredients into the wet being careful not to over-mix the batter. Rinse and dry blueberries. In another bowl, add 1 TBL flour toblueberries and shake until coated. Fold floured blueberriesinto bread mix. 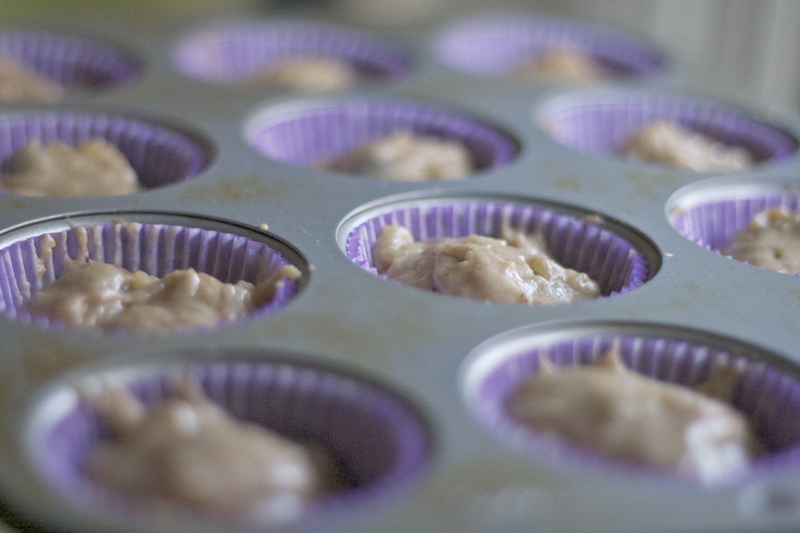 Scoop into lined muffin tins, top with 1 tsp streusel and bake for 30-45 minutes or until toothpick comes out clean. Muffins take less time than the bread so check often. Let cool on rack and share with your family!